M Night Shyamalan and James McAvoy teased the plot of Glass aka Split 2 and release a few new pictures from the movie. M Night Shyamalan's Glass releases next year. However, the movie's first look was recently shared by the team and they give us a look into Kevin's life at the asylum. The photos were shared by Entertainment Weekly and they show James McAvoy, Samuel L Jackson and Bruce Willis being treated in a pink hospital room. With the release of the first photos, actor McAvoy shared some insights into the Split sequel. Talking to the publication, he revealed that the movie will delve into Kevin's new life and friends. "We get to spend some time with some new people that live inside Kevin," McAvoy said. "[They] play a big role," director Shyamalan teased to EW. For those of you who don't remember, Split ends with Willis appearing as Dunn before the end credits roll down, saying the name of Unbreakable's fragile-boned supervillain Mr. Glass, played by Samuel L Jackson in the movie. It was then that fans knew it was going to be an unbreakable franchise. However, these three are not the only ones returning. The publication confirms that Charlayne Woodard, who played Elijah's mother, and Spencer Treat Clark, who played David's son, will also be a part of the Glass. During the CinemaCon this year, footage of Glass featuring Dunn, Price, and Crumb in the same facility was released. The video showed a physiatrist played by Sarah Paulson. "She deals with people that think they're comic-book characters. It's kind of the modern-day equivalent of 'I think I'm Jesus' or 'I'm an emperor,'" Shyamalan said. 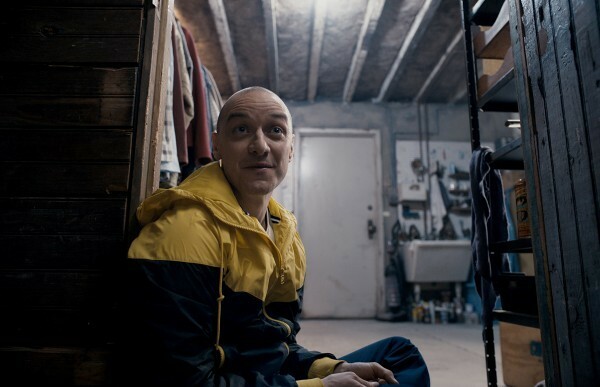 Speaking of the sequel, McAvoy revealed that he had no idea he was part of the 2000's Unbreakable universe until he began discussing the possibilities of a sequel to Split. "We were chatting and he said, 'Well, maybe if this one does well, we'll do another one.' I was like, 'Really? We're going to do a sequel to Split?' He was like, 'Yeah, you know, bring back David and all that.' And I was like, David?" he said, adding, "Oh, wait a minute..." and revealed that it struck him about the movie then. Glass releases on January 18, 2019.